My son's friend was kind enough to join our theme. He said the costume was comfortable fit great!! Costume was pretty good. 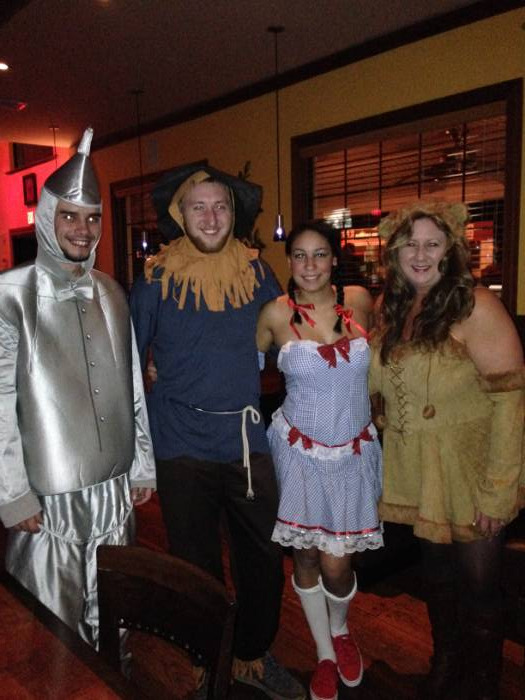 It made my daughter's day that we could all dress as Wizard of Oz for our Halloween party. As far as the costume, I have only minor complaints. It is a one piece jumpsuit with a top that closes in the back similar to a hospital gown. Two pieces, pants and shirt would have been better. Otherwise, no other complaints except that I expected it to be huge but this seemed to run smaller. I will say that Halloweencostumes.com's customer service team was great! This was actually my second attempt at a "Tin Man" costume. I originally order the "Tin Woodsman" costume on their website. This costume was so cheaply made that it was ripped at the seams when it arrived in it's packaging. I called the customer service which I believe it said was 24 hours a day during the Halloween season and they discussed ways that they could make things right. My email confirmation informed me that they price match if the exact same costume was able to be found cheaper. The person that I talked to looked up the other costume that I found and matched the price. They sent me a label to return the damaged costume. She even discussed sizing and material of the costume to make sure that I would be satisfied with my new choice and made sure that I would receive the new costume prior to the date that I needed it. Halloweencostumes.com's customer service was top notch and if/when I need another costume or accessories, I would be happy to order from them again. Thanks! 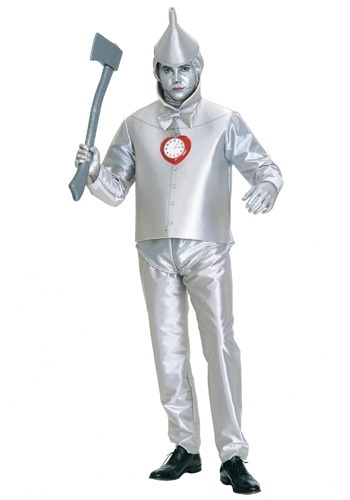 Hi Jeff, Thanks for your input on the Tin Man costume. Also, we appreciate the kind words you said about our Customer Service Team. We strive to make our customers happy and attempt to quickly resolve any issues that may come up. Have a great day!